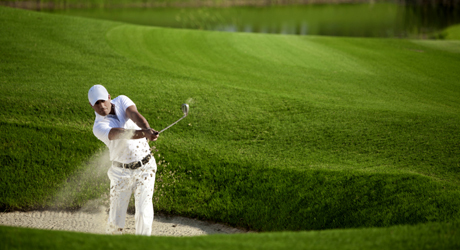 Avid golf enthusiasts dream of trying their hand on the world’s best courses. 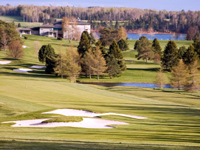 The British Isles are legendary for their golf courses, but there are also many world-class golf destinations in North America that are well worth a visit. Set against panoramic vistas and dramatic landscapes, the courses found in our favorite golf destinations can’t be beat. The Old Course at St. Andrews is one of the world’s most revered courses, and it’s a dream destination for golf players a world over. 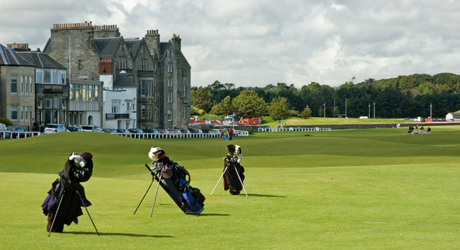 Rugged Scottish landscapes dotted with ancient castles make a unique backdrop to the Old Course and the four dozen other courses and driving ranges in the area. 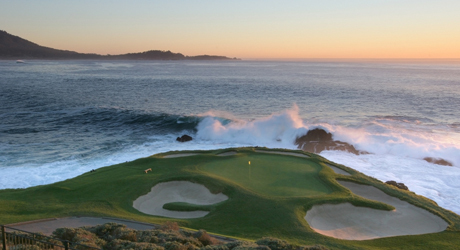 Pebble Beach’s Golf Links is arguably the most famous golf course in all of the US. The challenging fairways and strong headwinds are a stiff test for any golfer’s skill, and the breathtaking views of the surrounding countryside add a dramatic touch that makes visitors feel like they’re in the midst of a PGA major. 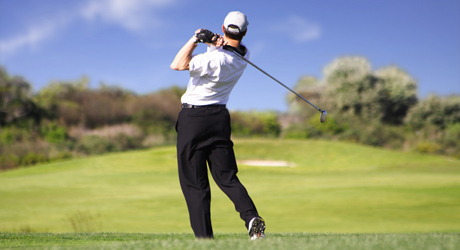 South Carolina’s Hilton Head is a golf utopia, featuring famous courses including Old South Golf Links, the Rose Hill Golf Club, and the Hilton Head National Golf Club, which is widely considered to be the best public golf course in the US. The island itself also enjoys beautiful weather nearly year-round. Home of the Gatlinburg Golf Course, Pigeon Forge is arguably one of the most scenic golf destinations in the county. Set against the dramatic backdrop of the Great Smoky Mountains, the Gatlinburg course has been a fixture among American golf getaways since it was first opened in 1955. 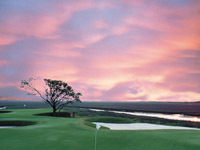 Home to Pines Lake Country Club among other prestigious courses, Myrtle Beach is a true golf hotspot. 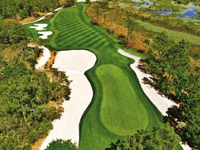 Lake Buena Vista Golf Course headlines the many great golfing opportunities in the Orlando area. 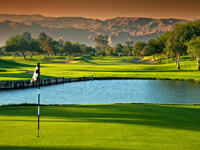 This fashionable Southern California resort town is one of the country’s top golf destinations. 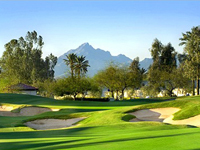 Arizona is famous for its golf courses, and bustling Phoenix makes a great place to base a trip. 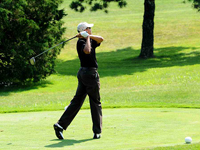 Home to the Farm Neck and Mink Meadows clubs, this scenic New England town has lots to offer. 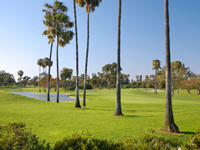 Scenic San Diego offers dozens of private and public courses to West Coast vacationers. 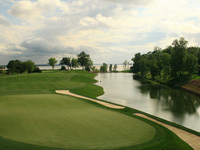 Home to the Colonial Golf Club, historic Williamsburg makes for a unique golf travel destination. 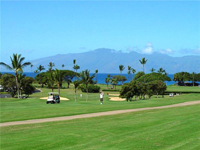 With tropical flair and beautiful weather, Maui’s golf courses draw thousands of players every year. 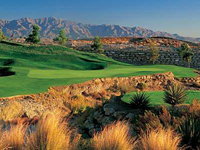 If you’re looking for an adventurous backdrop for your golf vacation, Las Vegas can’t be beat. 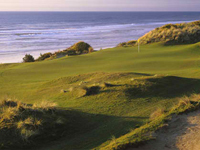 The Bandon Dunes Golf Resort offers five scenic golf courses for players of all skill levels. 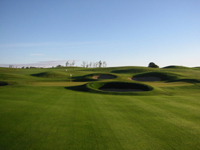 Golfers from around the world descend on the Irish capital to indulge their love of the game. A summertime visit to this enchanting island makes for an unforgettable golf travel experience.